Folks will use many reasons to take away the command by our Lord to be baptized. 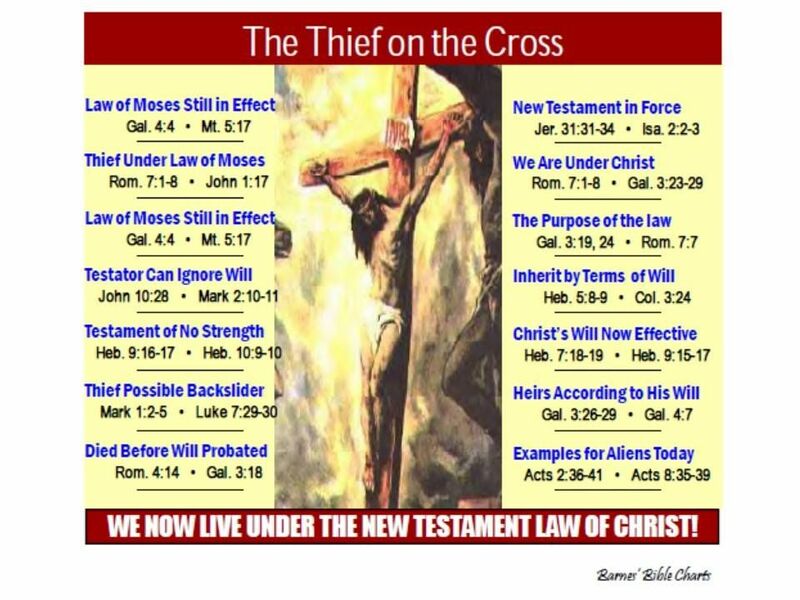 The one heard most commonly by me is, “What about the thief on the cross?” This one is offered by those who have a little biblical knowledge, and by those who’ve heard it before, but have never been challenged with scriptural evidence. The Patriarchal Dispensation – From creation, everyone was subject to a body of legislation passed down by God through the fathers of family clans (cf. Hebrews 11:1), until the giving of the Law of Moses. Reason #1– The Law of Moses was still in effect. Many folks are confused when reading the Gospels for it is commonly called, “The New Testament.” However, the majority of the gospel story in Matthew, Mark, Luke & John, take place while Jesus was alive and living as a Jew subject to the Law of Moses. Jesus was born to a Jewish family under the Law [Mat 1; Luke 3; Ga 4:4], circumcised the 8th day [Lu 2:21], observed the Passover [Lu 2:41, 22:8-20], taught people to follow the Law [Matthew 5:23-24; 8:4], and followed the Law Himself [Matthew 5:17-18]. Under the Law of Moses, never was there a command to be baptized for the remission of sins. Sins were atoned for through the sacrifice of bulls; And he shall do with the bull as he did with the bull as a sin offering; thus he shall do with it. So the priest shall make atonement for them, and it shall be forgiven them. (Leviticus 4:20). The word “atonement” <kaphar> literally means “to cover” and is the same as in Gen 6:14 regarding covering the ark with pitch. The thief on the cross lived during this Mosaic period, therefore was subject to the Law of Moses and it’s system of sacrifice through bulls and goats. As we study, we find out that the sacrifices in the Law of Moses were pointing to the sacrifice that Jesus would offer of Himself. Galatians 3:19-27 teaches that the Law was a teacher to bring us to Christ. Therefore, the THIEF on the cross never had a command to be baptized for the remission of sins. He died, having repented and placed his trust in the Christ, as EVERYONE UNDER THE LAW OF MOSES did when they obeyed the ordinances under that law. These two verses show the connection between, baptism, Christ’s blood AND the remission of sins. And it came to pass, that, while Apollos was at Corinth, Paul having passed through the upper coasts came to Ephesus: and finding certain disciples, 2 He said unto them, Have ye received the Holy Ghost since ye believed? And they said unto him, We have not so much as heard whether there be any Holy Ghost. 3 And he said unto them, Unto what then were ye baptized? And they said, Unto John’s baptism. 4 Then said Paul, John verily baptized with the baptism of repentance, saying unto the people, that they should believe on him which should come after him, that is, on Christ Jesus. 5 When they heard this, they were baptized in the name of the Lord Jesus. The thief on the cross lived AND DIED under the Law of Moses, as did Jesus our Lord, where there was NO COMMAND to be baptized. The command to be baptized was given AFTER his death. HOURS AFTER THE SHOOTING in San Bernardino, cries for the victims lit up social media. Political rhetoric was also spewed, yet there were also calls for prayer for the victims and for our land. Unfortunately, alongside those petitions for God’s help, shouts that God doesn’t help rang from the voices of the unbelievers. 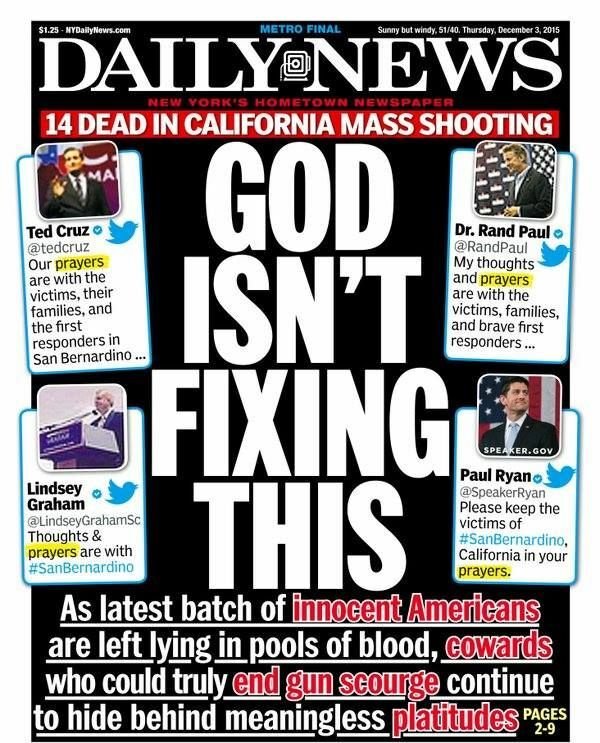 Even the New York Daily News printed a headline, “God isn’t fixing this.” Here’s just one example of many twitter complaints against prayer…. Why didn’t God stop the San Bernardino shooting? This exemplifies part of our trouble with our evangelism, the problem of evil. The argument goes like this, “If God exists, then why is there evil (like this shooting in San Bernardino)?” It is a valid question. It’s an objection that many people have and without a legitimate answer, will keep many without hope. We need to be able to answer this question. It’s going to come up for you, as folks wrestle with understanding during troubling events such as this. Answer #1: The question itself actually proves the existence of God, rather than disproves Him. The fact that people recognize evil means that they understand good. Without God, there can be no such thing as good or evil. If Evil exists, as they cry against it, then there must also be a good. If there is good and evil, there must be a standard (absolute moral law) by which to differentiate the two. If there is an absolute moral law, there must be an absolute moral law giver, GOD. If there is no absolute Moral Law Giver, then there is no moral law. If there is no moral law, then there is no good nor evil. Answer #2: Love & free will. Love is the greatest ethic. 1Co 13:13 But now abideth faith, hope, love, these three; and the greatest of these is love. This truth is recognized by every person on the face of the planet. Paul suggested that some things had no laws against them; Galatians 5:22-23 But the fruit of the Spirit is love, joy, peace, longsuffering, kindness, goodness, faithfulness, 23 meekness, self-control; against such there is no law. In order to have LOVE, you must have the freedom to NOT LOVE. 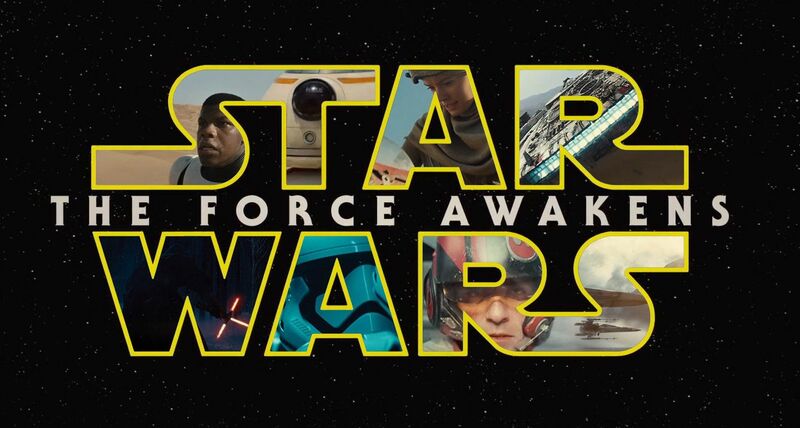 This is contained in our FREE WILL. Otherwise you just have automatons, instinctually motivated animals. FREE WILL is one of the greatest gifts received from God. With the ability to choose LOVE, comes the ability to go against it. With that comes all the problems (evil) that are associated with not loving. When FREE WILL exists, LOVE can also exist along with EVIL, and since the original question suggests that there is an ABSOLUTE MORAL LAW, God also exists. God has given mankind freedom of choice. He gave Adam and Eve the freedom of choice. [Genesis 2:16-17] Their choice was plain — obey and live or disobey and die. Their choice was made through and by their own will having been influenced by Satan. Who is willing to say that since God foreknew the outcome that He forced or ordained Adam and Eve to sin? We commit evil by our own desires and lusts [James 1:13-14]. Mankind today still has freedom of choice. [Joshua 24:15] People can choose today whether or not they will serve God. [Revelations 22:17] Both the Psalmist [Psalm 119:30] and Mary, the sister of Martha [Luke 10:42], are examples of this principle. God’s grace has appeared to all people [Titus 2:11] yet millions reject it. Each person is accountable to the Gospel call [2Thessalonians 1:8, 14; John 12:47-48]. Those who reject the teachings of Jesus are held responsible [John 5:24; 8:24] The Bible teaches us that each person is free to choose to obey the gospel, or not to take advantage of God’s grace. It clearly shows one may resist God’s grace, His truth and His authority [Acts 7:51; Romans 13:2; 2Timothy 3:8]. These verses teach that man has free will to choose. With the ability to choose, we can choose evil (as this couple did in San Bernardino) or we can choose to do good.